Design and manufacturing teams at Cheadle and Templecombe in the UK pulled out the stops to ensure delivery of the first bow sonar array in time to meet the Royal Australian Navy's (RAN) accelerated upgrade of HMAS Waller as part of a programme to extend the Collins Class Submarine service life into the 2030s. The tight, two-year schedule from contract signature to construction of the first modular cylindrical array (MCA) was a huge challenge for Thales's Defence Mission Systems team in the UK. This success has demonstrated the company's flexibility to bring forward delivery dates and capacity to take on risk in order to meet customer expectations. The Collins Sonar Capability Assurance Programme (CSCAP) is part of the wider SEA1439 refit programme to upgrade the capabilities of the RAN's six Collins Class submarines, extending their working life until a new generation of submarine is online in the 2030s. The boats' current sonar has been in service in the since the 1980s. Sonar systems are used to detect the presence of other vessels at the greatest range possible. The better the sonar, the further away other vessels can be detected. With the new MCAs, based on the UK's 2076 technology already in service with the Royal Navy, the RAN will benefit from significantly enhanced sonar performance. 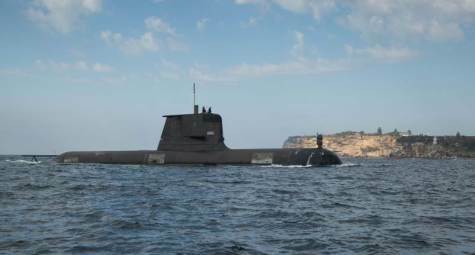 The successful delivery of CSCAP could not have come at a better time as the Australian Government assesses sonar bids for SEA1000, the Programme to deliver Future Submarines to replace Collins. The Australian Department of Defence is expected to announce their down-selection via combat system integrator Lockheed Martin Australia imminently and the UK team are hoping for success. A number of other allied naval forces are also considering future submarine programmes for which Thales in the UK is in a strong position. CSCAP represents the first time that the UK has exported submarine technology of this level of sophistication outside the UK. This was made possible by the close links enjoyed by Australia and the UK as commonwealth partners and is supported by the Anti-Submarine Warfare partnership between our two nations. The programme also saw an unprecedented acceleration of the usual design, qualification and construction process of product realisation in order to synchronise with the Collins Class refit programme now underway at the ASC Osborn South dockyard near Adelaide, South Australia. "It was apparent from day one that we couldn't run this programme in the traditional way and we'd have to tailor our processes heavily to overlap activities. The fact we've delivered it in line with the customer expectations is a huge credit to the people who had to work long hours and make difficult decisions to do things right, but in the timescale available," said Mike Canning, Project Manager. With the high degree of technical expertise within Thales in the UK, the maturity of UK sonar technology and their commitment to a detailed, high tech product development roadmap, the team were able to successfully manage the high level of risk associated with concurrent design activities. The team hope to sustain the momentum though into SEA1000 where Australia's Future Submarine could share with the UK the capability advantages this roadmap will deliver – and with it the next generation of world-leading sonar performance. This has been an exciting beginning to the CSCAP programme which will now continue to manufacture and deliver the remaining five boat sets over the next five years in advance of the platform schedule.